From the radiant ochre of the Red Centre to the shimmering blues and greens of the tropical Top End, Australia’s Northern Territory offers a staggering palette of colors, climates and terrains ripe for adventure. 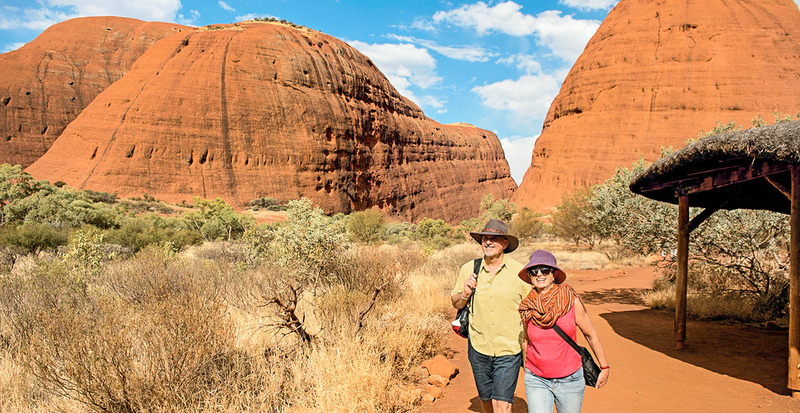 When you reserve your vacation with us, we’ll scour the entire state for the most fascinating perspectives, whether it be rambling amidst sculpted cliffs, skimming saltwater floodplains or even ascending into the clouds as the dramatic outback unfurls before you. 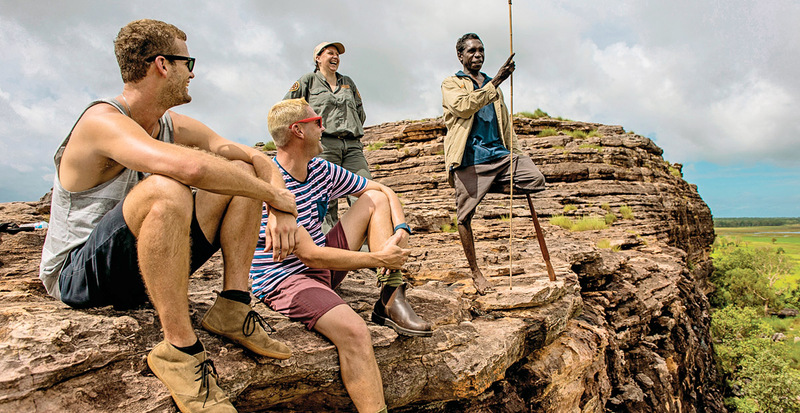 Whether you’re craving the thrill of hiking bush trails or prefer a more leisurely pace to experience the outdoors, we can arrange expertly guided treks within the Northern Territory suited to every level of explorer. Named for the flamboyant color of its soil, the Red Centre is exemplified in Watarrka National Park’s crimson rock faces. 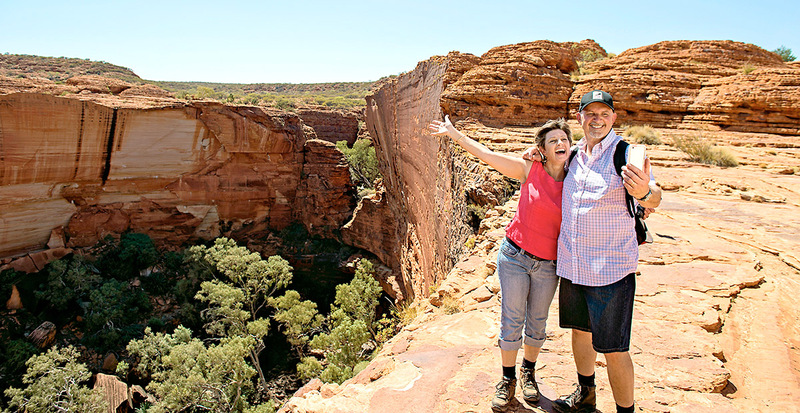 We recommend the manageable Kings Creek Walk through the park’s Kings Canyon, which winds between canyon walls and eucalyptus groves to reveal a beautiful expanse that the Aboriginal Luritja have inhabited for more than 20,000 years. 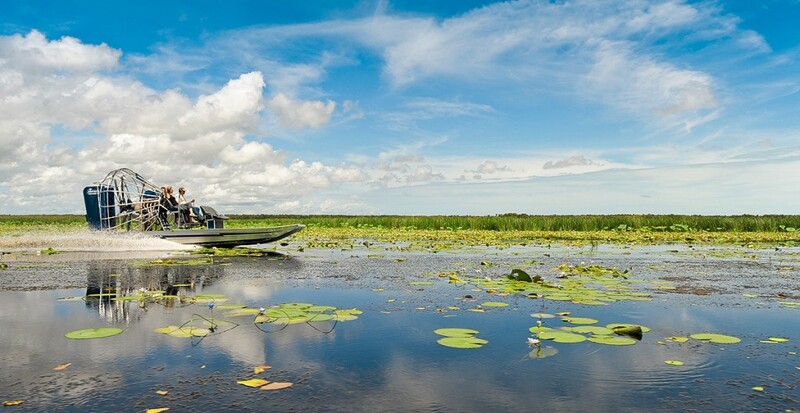 Within the borders of Kakadu National Park, you can peer at ancient rock art such as at Ubirr, cross woodlands and rainforest landscapes and marvel at birdlife and crocodiles among the wetlands. Spend as little or as much time as you want exploring six distinctive terrains in Australia’s largest national park that spans more than four million acres. 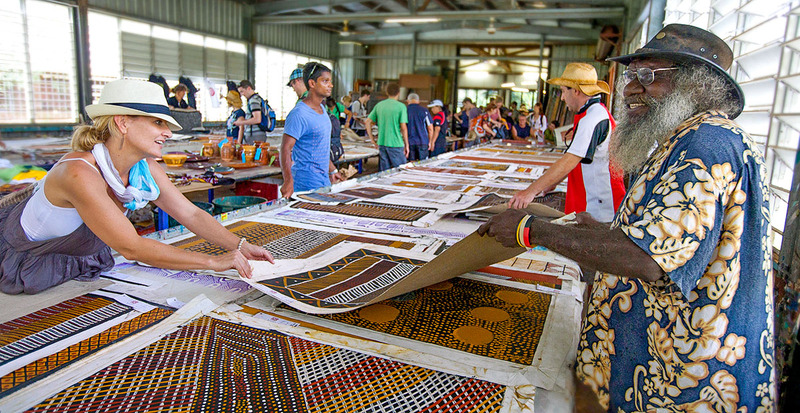 Aboriginal traditions are easily explored on the Tiwi Islands. Only two of the islands off the Top End, Bathurst and Melville, are inhabited, and more than 90 percent of their residents are Aboriginal. As a result, the indigenous art, culture and heritage are quite distinctive from the mainland. Be sure to take a guided stroll through Jilamara Arts and Crafts Association and explore a village burial ground marked by poles called pukamani, painted turmeric-yellow and paprika-red. From the surrounding blue waters of Darwin Harbour, cascading waterfalls and river-rippled national parks — featuring the occasional crocodile — the Northern Territory offers endless aquatic pursuits. Towering sandstone cliffs carved by the Katherine River loom from above during your scenic boat tour through Nitmiluk National Park. 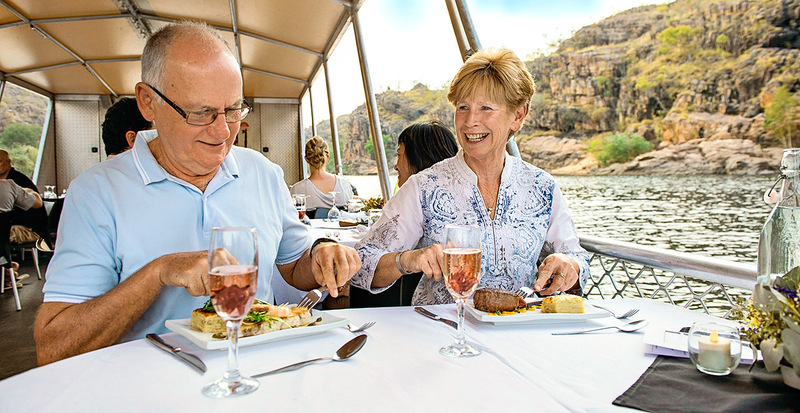 Expect to see freshwater crocodiles sunning on the riverbanks and rocky outcroppings painted with Aboriginal rock art as you drift through the tranquil system of gorges. 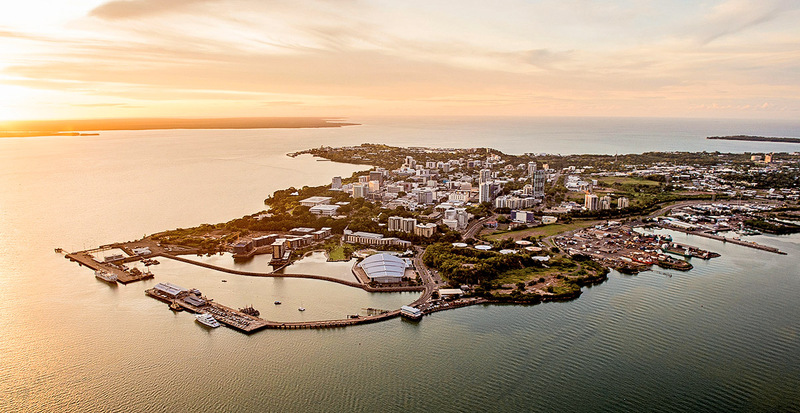 With waterfront dining, a bustling nightlife and sunset cruises on Darwin Harbour, enjoy the Northern Territory's tropical capital from every angle. Water springs forth from gorge walls in the Red Centre, meriting a well-earned dip. 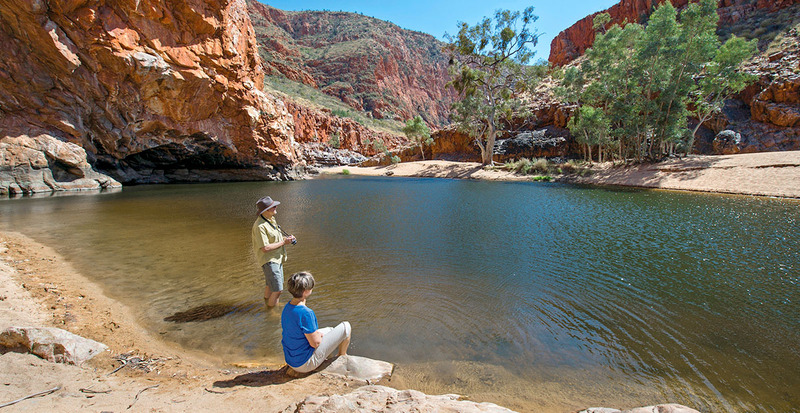 From the frontier town of Alice Springs, you can reach the sheltered swimming hole at Ormiston Gorge or float between two cliffs at Ellery Creek. A carpet of terracotta earth sprawls before Uluru, or Ayers Rock, an iconic sandstone monolith that lies at the center of sacred Aboriginal creation stories. Take a sunrise walk to behold the fiery form illuminated, ride on camelback through the surrounding desert sands or enjoy a starlit dinner at its foot — but the ultimate vantage point is from above. 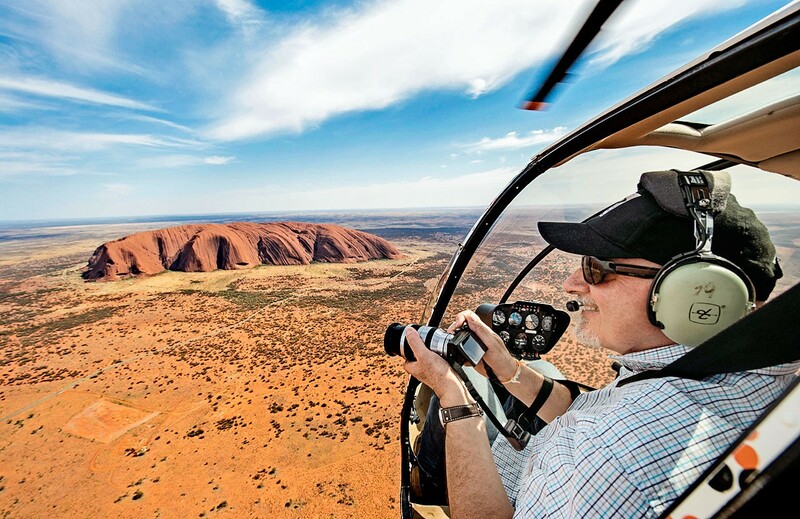 Approach the World-Heritage listed site in a helicopter and be amazed by the view of this majestic formation rising from the desert landscape. Let us arrange an adventurous journey designed for your style of travel, whether it’s hiking rugged trails, plunging into invigorating waterfalls or delving deep into culture-rich villages.